Black Lives Matter! And as many have pointed out over the past days, in order to change the system we need to put our money where our mouth is. Money talks people! If we can focus on spending the majority of our money on Black businesses and support Black entrepreneurs, we can help driving change. I really believe that this is important – and it is also possible! There are so many online stores and shops out there that are owned by black women and black men in the USA, in Europe and of course also on the African Continent – so let’s make a conscious effort to spend our Dollars, Euros, Pounds etc. with Black Businesses. Here is a list of some Black-owned online stores that sell African and Africa-inspired Fashion, Accessories and Interior Design. Of course there are many more. Comment below and let me know which ones I should check out! My own online store with unique & chic accessories and African City Bags! Great platform to buy trendy African Fashion from African or Afro-American designers. 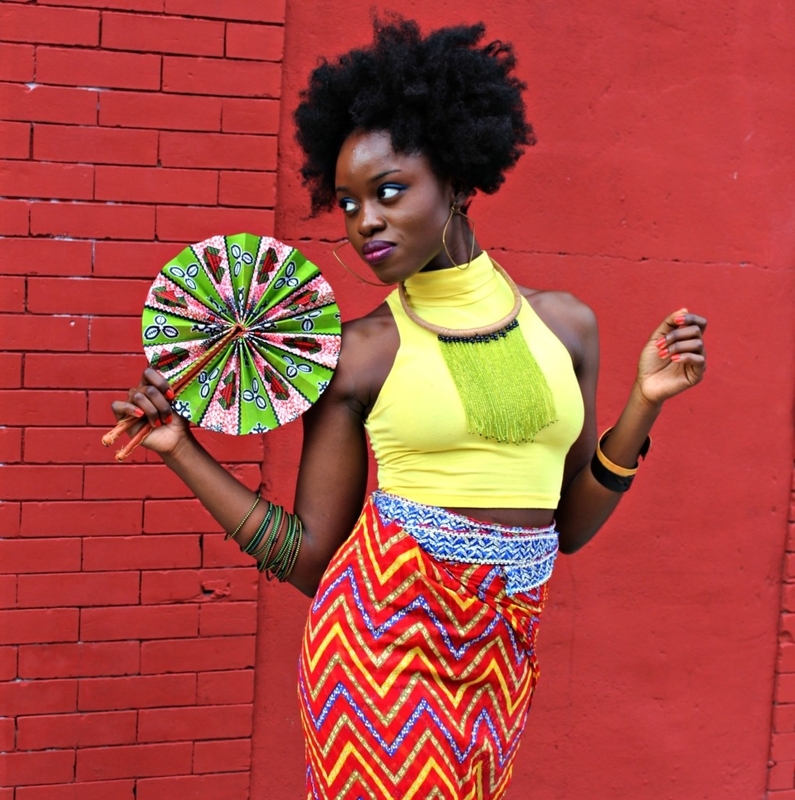 Chic and cool fashion designs and accessories made out of African fabrics. Accessories label that produces its unique and colorful bags in Ghana. Headwraps and accessories inspired by Haiti. Unique T-Shirts, earrings and a lot of cool headwraps. Check-out her recent African Barbie collection. Designs in bold & fun prints for all sizes. This label creates beautiful and unique dresses and jumpsuits out of original African fabrics. Super cute and stylish African print dresses and accessories. Stylish and elegant dresses & dress coats in fabulous prints. There is even a Michelle O’ dress! Skirts, tops, dresses made out of hand-dyed fabric in Nigeria. Unique and ethical. Bold accessories like earrings, necklaces and bibs all made out of vibrant African prints. Accessories for your apartment. Chairs, ottomans, shower curtains, pillows – everything comes in different African fabrics from wax prints, to mudcloth and indigo. Award winning designer of carpets, wall coverings and tiles. Check out her website before you start your next beautification or renovation project in your apartment or house! Elegant designs with unique fabrics and prints. High-end!